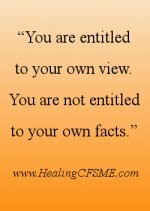 The main visualization for meditation healing in this article is written by Keith and Katherine. First, I give some links to other healing visualizations on this website. Bookmark this page if you want to visit these another time. 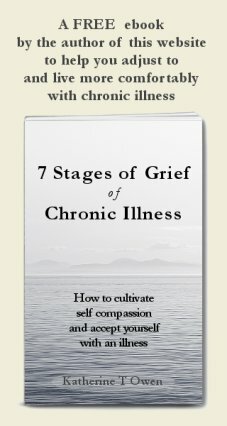 Jenny Light shares her meditations for living with Chronic Fatigue Syndrome. My inner child visualization for healing loneliness. Try to remember a time before a particular symptom manifested itself. What word would you use for how you felt without this symptom. For example, comfortable, normal, mobile, free. For 5 minutes when you wake up, focus on how you felt, and functioned. Do the same for 5 minutes before you sleep. At the same time see any problem area filled with bright white healing light. This increases the vibrational frequency, thus speeding up healing. Then increase the frequency of visiting that vibration of wellness throughout the day. You can say these healing affirmations to prepare your mind to receive the benefits of the meditation healing. I trust in something other than my physical sight and feelings. I recognise I don't know how to be healthy. I switch from sufferer to observer of the symptom and my body. I get curious. I become aware of my breath. Science tells me that I am 99% space. Within each cell in my body there is space. And within this space there is energy. I shift from identification of myself as the physical body to awareness of this spaciousness. At the quantum level I am energy (or spirit). I am a cloud of spirit, a human sized one. I become aware of the spaciousness in my muscles. I breathe into this spaciousness. I become aware of the spaciousness in my bones. I become aware of the spaciousness in every blood cell in my body. And now, if there is any part of my body that feels tense or in distress, I bring the focus of the meditation healing to this part of my body. I find the same spaciousness in this part of my body. I allow the breath to become deeper. And now I feel the whole universe contained within me. And now I zoom out and I am so big that the Universe is a tiny speck within me. I feel the enormity of my true self. I rest in this place of knowing I am not the body. And when I am ready I bring myself back into my body. I feel the solidity of my body as it rests on the chair or the bed. I feel the edges of my body and the shape of my body. I allow myself to be who I am and where I am. I come back knowing that I have done marvellous work. I have taken a break from being identified with this seemingly separate body with its unique set of problems. I have spent time remembering that I am ALL THAT IS. I imagine what I will see when I open my eyes. And, in my own time, I allow myself to return to full waking consciousness. I stretch and smile, knowing that I have done a wonderful meditation healing to reconnect me with the health that I am. Go here to read Keith’s story of his spiritual healing of tinnitus and hearing loss. The visualisation above played a part in this healing. Read a series of healing meditations for healing from deafness and healing tinnitus. If you have mislaid your hope for healing you might want to read about how to live with and overcome fear or doubt. Go through to the healing tinnitus forum if you want to read other people's experience of living with and healing tinnitus. We have had some truly beautiful souls pop by. 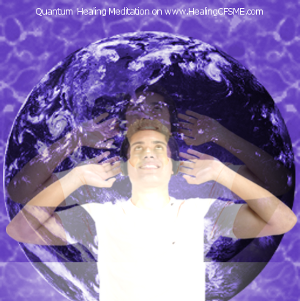 Share your comments on the above visualization for meditation healing. Read a visiting physicists comments on quantum healing - bridging the gap between science and spirituality. Say a healing prayer for recovery from Chronic Fatigue Syndrome.